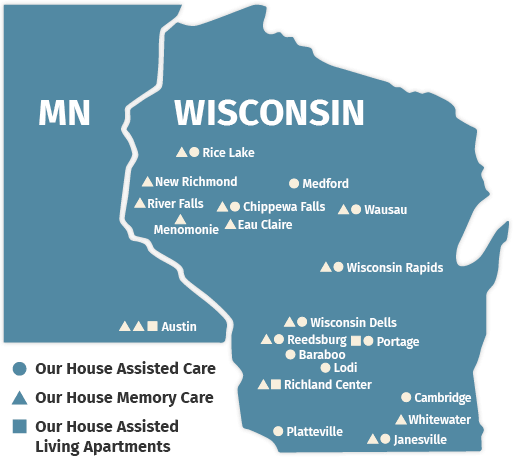 Our House Senior Living is a vibrant senior living resource in Wisconsin and Minnesota. 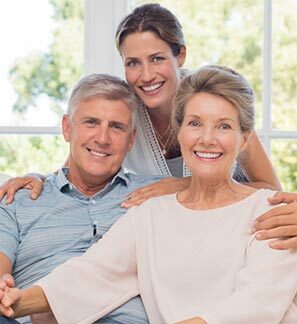 Proudly part of the Keystone Senior Management Services, Inc. family, we strive to maintain a prudent and conservative rate of growth and to achieve occupancy numbers that are in the top five percent of senior living communities nationwide. We offer various care options, including assisted care, memory care, senior apartments, short (respite) stays as well as hospice accommodations. Our 31 houses are staffed 24 hours a day, seven days a week with compassionate, well-trained team members who consider it a privilege to serve our residents. Keystone Senior Management Services, Inc. has been has been providing quality care in the communities we serve for over 20 years.